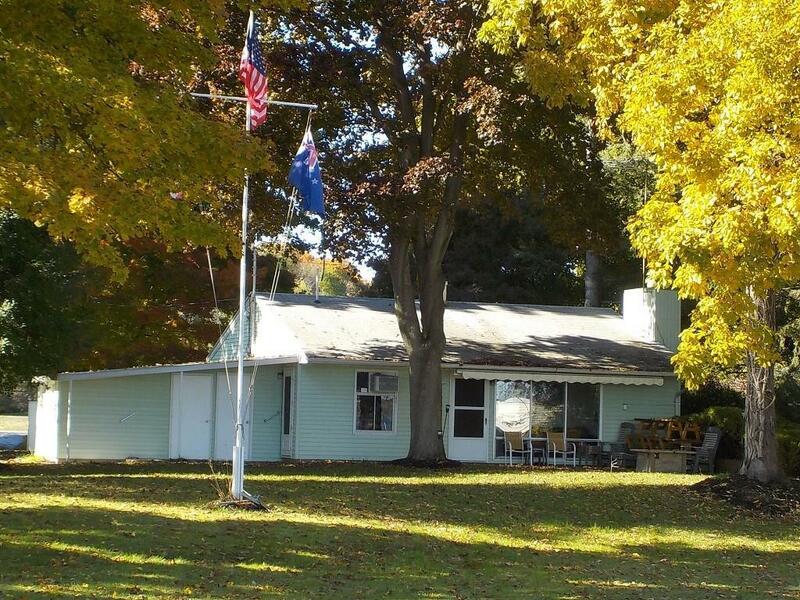 21 S Kashong Pt Road, Geneva, NY.| MLS# R1157516 | Coldwell Banker Finger Lakes | 315-789-6768 | Geneva NY Homes for Sale, FINGER LAKES PROPERTIES, Seneca Lake, Cayuga Lake, All of the Finger Lakes. Enjoy beautiful sunrises on Seneca Lake. Deep, flat lot to the level 100 foot lake shore. Enjoy kayaking, swimming and other water sports. This 4 bedroom, 2 full bath home offers plenty of room for family gatherings and a wood burning fireplace to enjoy on those chilly nights. This home is on a well, but public water available. Property is located away from railroad tracks on a private road. Fully furnished and previously rented for weekly vacations. Personal property may be purchased separately. Directions To Property: Starting From Geneva, Drive 7 Miles South Of Geneva On Route 14. Turn Left Onto South Kashong Road. Turn Right At The End Of The Road. First Green Lake Home On The Left. House Number On Telephone Pole.